Well, another packed meeting took place on Thurs. It was brilliant to see so many people there (including the unfortunate table of diners who found themselves stuck in the middle of our meeting room at the start through a double-booking mix-up!). Thanks so much, everyone, for a great meeting. It was terrific to receive so much support – we really appreciate it. 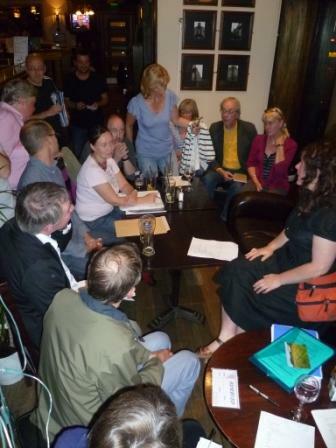 Here’s a photo of some of the members who attended one of our early meetings last autumn in the Waiting Room pub.